Cattle bomas are fenced livestock enclosures meant to protect cattle at night when predators are active, and as a result, trampling of the enclosed cattle breaks down the moribund grass. 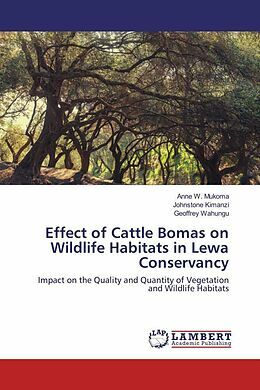 The research project aimed at assessing the effect of cattle trampling and grazing on vegetation and wildlife habitats in Lewa Wildlife Conservancy, Kenya. This was done in three treatments, the boma, where cattle spent the night, the grazed areas where cattle would graze during the day and control areas, where there were no cattle activities. The overall project aimed at examining the following objectives: 1.The effect of cattle trampling and controlled grazing upon grass quality and species diversity for grazers. 2. The effect of different grazing treatments on grass biomass and 3.Determine whether the trampling and grazing treatments influences habitat use by grazers. The implementations of these interventions would help in return the conservation managers manipulate the long-term distribution and abundance of grazing animals on range-lands through careful consideration of boma placement and relocation rates.  Anne W. Mukoma. M.Sc holder in Wildlife Management at University of Eldoret, Kenya. A Senior Research Scientist at Mpala Research Center, Kenya. working under the Mpala Live project.